Morgan and Marius planned a fun and romantic wedding with their closest family and friends in the heart of Orange County, California. The Wedding was officiated at the First United Methodist Church in Fullerton, California. Most of the time there are extra rules and regulations that specify what you can and cannot do inside the chapel or church, luckily for us this wasn't an issue. Like all other aspects of wedding planning, decorating the church can be an elaborate or a simple affair. The aisles were aligned with overhead candles with flowers draping from them. 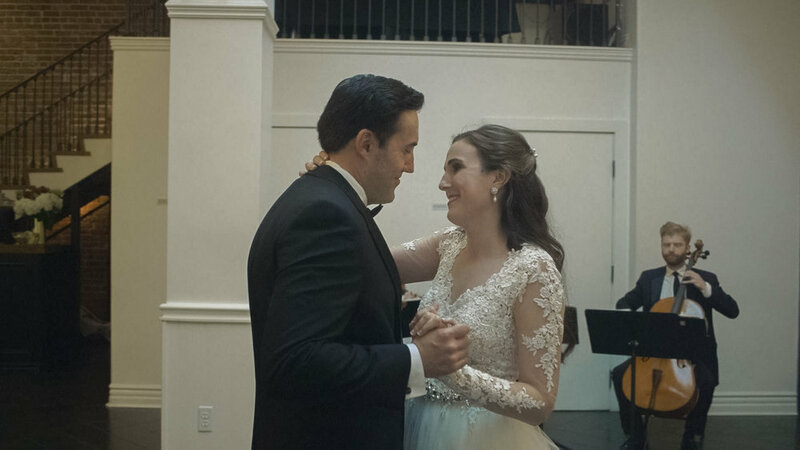 Morgan was stunning in her truly elegant dress designed by Essense of Australia and Marius looked very GQ in his Calvin Klein suit from Friar Tux Shop. Once they had walked down the aisle they were met with a beautiful flower arrangement by Flower Allie seated on the alter. Shortly after Marius and Morgan became one the party began at The Estate on Second. The Estate on Second may be a recent addition to Orange County’s social scene, but its historic structure has been in the heart of Santa Ana since 1923. The decor was set with many beautifully lit candles and flower arrangements, many of which were constructed by friends and family members. 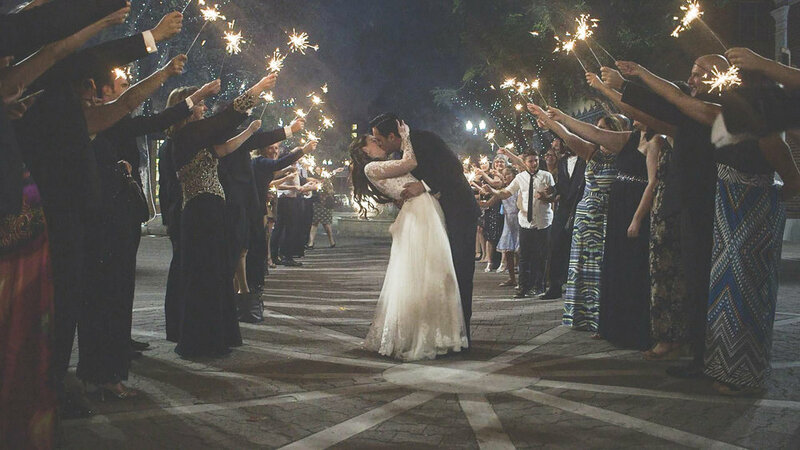 The reception was a blast, kicking off with a beautiful first dance, topped with a sparkler exit. I have to say we loved working at the estate on second and can't wait to be apart of another grand wedding at this jaw dropping historic estate. Thank you for letting us be a small part in your big day, congratulations Marius and Morgan.